Welcome to OrlandoSteadicam.com, your source for camera movement specialists. 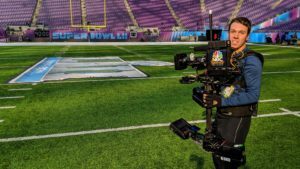 This is the digital portfolio of Emmy Award-winning Steadicam Owner/Operator, Mike Germond S.O.C. I am able to work as local in Florida, but am willing to travel for your production. This site is dedicated to introducing you to me and the work that I do. As an Operator with a post-production background, my goal is to translate the technical art of Steadicam to your production in a manner that advances your story line. I am a Michigan native, currently living in Central Florida, and able to travel anywhere your project demands. I have heavy experience in Live TV/Event, Commercial, Corporate, Concert and Film production. Experienced formats include 35mm, 16mm, Arri Alexa/Amira, RED One/Epic, Varicam, XDCAM, F55, Blackmagic Design. I shoot high end content for many major networks, such as Golf Channel/NBC Sports, ESPN, Fox Sports, NBC, Discovery Channel, Food Network, and Hallmark Channel. I have worked with many high profile brands, including but not limited to Universal Studios, Warner Bros, Tim McGraw, Timbaland, Harry Potter, NFL, Microsoft, Disney, NASCAR, Cisco, LEGO, Hard Rock Hotels, PGA of America, Callaway, and Under Armour. Lawrence Productions Inc. where my passion for achieving the “Wow Factor” for the viewers was fueled by observing professionals in the Avid rooms. But it was my experiences outside of the office that introduced me to 35mm film, professional cinematography, and the art of Steadicam. It was clear that I could make images through the camera that moved audiences on a greater scale than anything I could do as an editor. I had not even graduated college yet, but knew what I wanted to do. I paid my way out to Los Angeles to receive personal Steadicam training from the professionals at Tiffen. Since then, it has been a whirlwind. For my Alma Mater, I produced two feature/magazine and sports highlight shows featuring my Steadicam that sparked a new era of Sports TV production for Athletics. I was using the Steadicam in College Football before ESPN. Since then, I have expanded my skills into the commercial world, translating my ambition into successful marketing campaigns for multiple high end clients. In 2010, I shot my first big Feature Film as “B” Camera/Steadicam Operator. 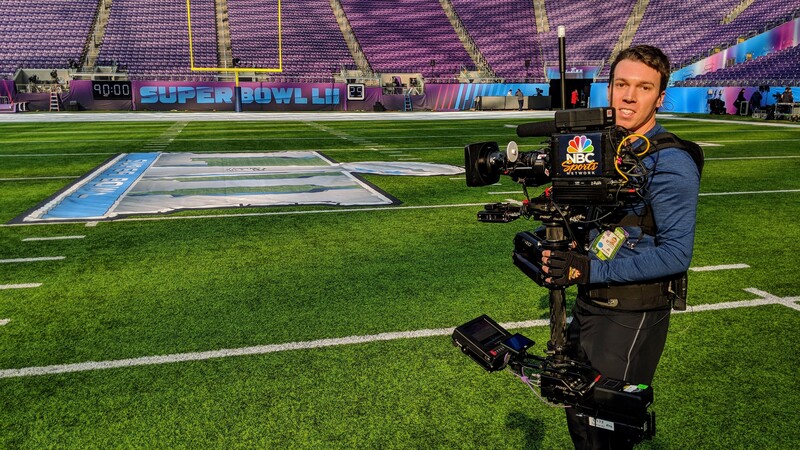 I spent 5 years as the Senior Steadicam Operator for NBC Golf Channel, where I helped transition the Network to NBC Sports ideologies by creating a flashy, yet polished Steadicam look for the network’s first 360° High Definition studio. I moved on to pursue NBC Olympics in Rio De Janeiro, NBC News Presidential Race coverage, and NFL on NBC opportunities. I am currently available to consider and book new projects.